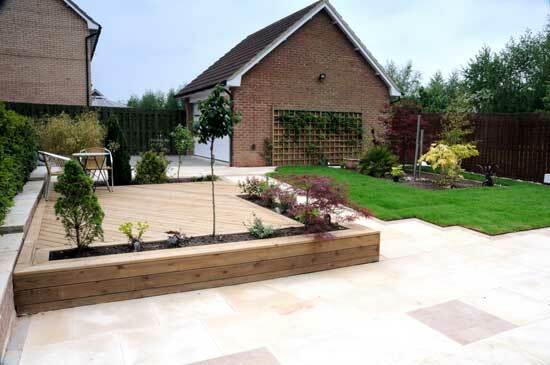 Timber decking platform incorporating paved area in natural sawn sandstone edged with setts. 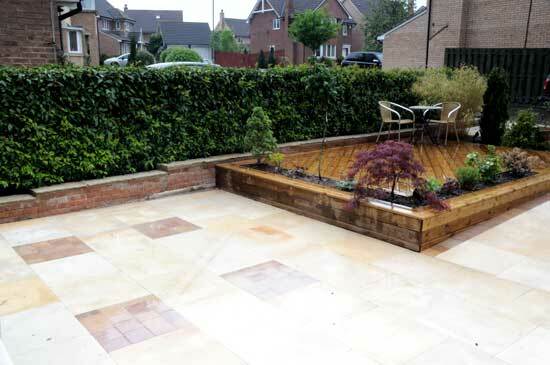 Retaining wall from hand made bricks capped with natural stone coping. 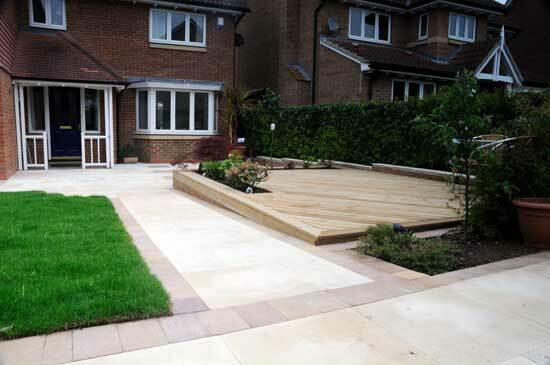 New lawn area and architectural planting throughout.